I discovered that Alka Lamba is joining Aam Aadmi Party and found it a little strange that some AAP supporters seem to be objecting to it. I think objecting to her joining the party makes no sense. As a new party, Aam Aadmi Party will need a lot of people who can take on responsibility and articulate the party’s interest. 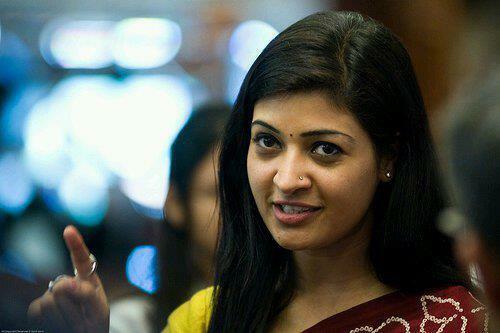 Alka Lamba has political experience, political ambition and very importantly, she is a woman. Not all that long ago, Aam Aadmi Party supporters were saying that they were having trouble finding enough women for leadership roles and to contest and so on. While it is true that the only women to win in Delhi were from Aam Aadmi Party, having only 7 candidates was pathetic in terms of the equality we’d like to see. And they’ll be needing leaders left, right and center as they hit the National stage. There is a certain paranoia about members from another party joining AAP, but if AAP hopes to be a permanent feature of India, it is inevitable and it is desirable that it is an attractive party to idealistic politicians. In a party working transparently and by consensus, it shouldn’t matter who the person is, as long as it is clear to all that good work will be rewarded and wrong doing will be punished. Like there is no point in forming personality cults for leaders, there is no point forming anti-personality cults for members. If she does not seem to be interested in the agenda of the common man, the leadership will not find her suitable for further responsibility. It ought to be as simple as that. In a country where women are under represented, AAP has shown keen interest in providing them a platform. It is to be expected that competent women leaders who hit glass ceilings in parties they currently support WILL find AAP attractive, and in my imagination, this looks like a wonderful thing. 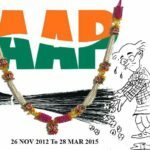 In fact, when the debate for the 33% reservation for women was going on, I had criticized it and suggested that 50% was an accurate representation, or there should be none, and women should ditch parties that subjugate them and move to parties like AAP or Loksatta that are seeking to provide greater representation to women. I see this as a very promising thing. I don’t understand a knee jerk rejection because she belonged to Congress. So did Binny. He got a ticket, right? Shanti Bhusan was with BJP. He founded the party, right? It is time to look at the larger picture. There is a need to see that you cannot unite a country by being paranoid on the basis of identity. be it class, caste, religion…. or political party. AAP has made a massive move toward value based politics. Perhaps it is time to trust the values and know that an “open source party”, as an AAP supporter described it to me once, will not allow the wrong values to thrive, because they will be questioned and disallowed further representation for being inaccurate. That should provide the courage to embrace all in the Nation and judge them for their actions rather than affiliations. It will also be useful for AAP by giving them a kick start on their women leaders. Let us face it, for women leaders to emerge in large numbers from the general population is going to take time. On the other hand, here are women with ambitions to make a mark in politics. Why shouldn’t AAP see this as an opportunity to get a rapid start on their agenda for gender equality? Note: This is not saying that women should get special treatment. Only saying that special concern must be taken to ensure that the party has a healthy number of women, which it currently doesn’t. Aggression of this sort will decrease the space further and needs to be avoided. Very well said. completely agree with your views. 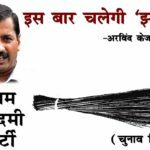 as a Primary member of Aam Aadmi Party, i wish to suggest that Party should not tolerate un parliamentary words, used before media, it embarrass not only party, buy its success in forth coming election. May bhi es aandolan may samil hona chahata hu. The problem is not AL as a person but many others like her who were part of other political parties and were defending very wrong doings of their leaders. If they themselves are leaders then they should have raised their voice. Ppl like Kamal Farooqui, AL, Tina from BJP & many others who were defending all the wrong doings of their own party lrdrs just for the survival in the political parties then in my view they are not leaders. As Leader is who can lead by example but in the past I don’t think they did something like that. They are the same ppl who were condeming AAP till before delhi election now seeing the massive support in public they are changing their stand on AAP and now want to join. I call it oppertunism and in my view AAP should avoid taking in these oppertunistic ppl who, you never know, joining AAP because their change of heart or coming to join AAP as agents of their own political parties to serve the interest. As the big political parties are rattled by the success and hence they as well try to push few ppl in AAP working as their agent. So overall the better strategy is to avoid ppl like them. The agenda and focus should remain the same is to serve with dignity and not asking to join ppl just to reach to power by hook or crook. the above views are right, but it is also true that a person after doing 10 wrongs want to correct himself or herself. That way we would never find a true AAPian. Everyone has made some or the other mistake in our life, it is better now than never. AAP needs good women politicians who are from general masses, every one should get space to correct.